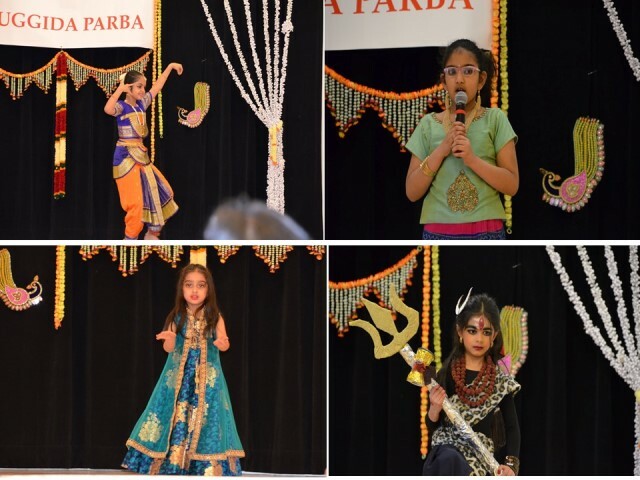 Cultural Extravaganza Update for Vishwa Tulu Sammelana in Dubai. 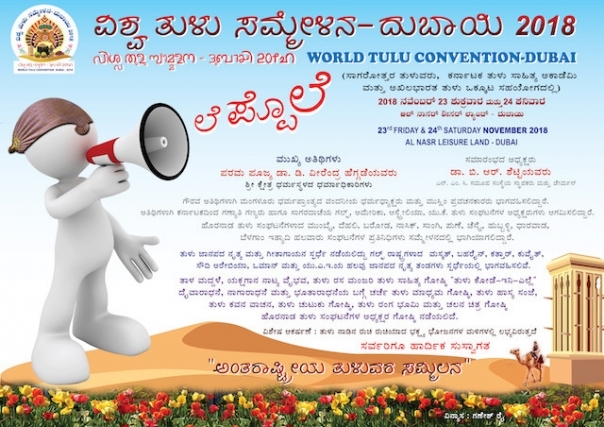 ‘Vishwa Tulu Sammelana 2018’ a two day World Tulu Cultural Convention is being scheduled to be held in Dubai on 23rd & 24th of November, 2018. Padma Vibhushan Awardee Dr. D. Veerendra Hegde, Dharmadhikari of Shree Kshetra Dharmastala has consented to be the Chief Guest and will be inaugurating the programme along with Padmashree Dr. B.R. 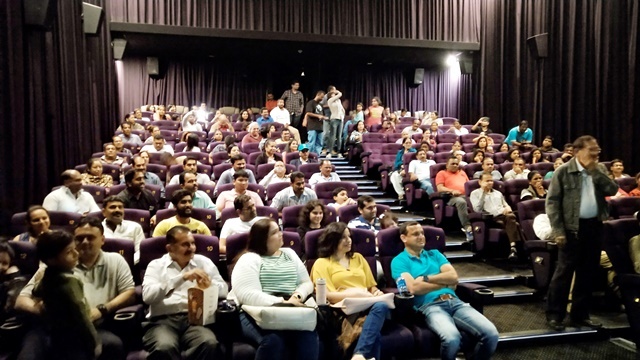 Shetty, Patron of Tuluvas in Dubai, Rev. Fr. Peter Paul Saldhana, current Bishop elect of Mangalore, Abdussalam Puthige, Muslim Scholar & Editor of Varthabharathi Daily News Paper, Rev. Fr. Ebnezer Jathana of CSI Mangalore and a host of Cultural Guests from Mangalore including Dharmapal Devadiga President of Akhila Bharata Tulu Okkoota, A.C Bhandary President of Karnataka Tulu Sahitya Academy, Dr. Mohan Alva, various well-known Poets, Scholars, Journalists, Tulu Film Personalities & famous Dramatists of Tulunadu. Sarvotham Shetty is the Chief Coordinator of Vishwa Tulu Sammelana supported by Event Manager Shodhan Prasad, Ganesh Rai, Dev Kumar Kambli, Satish Poojary, Yogesh Prabhu, Ajmal Sayyed, M.E. 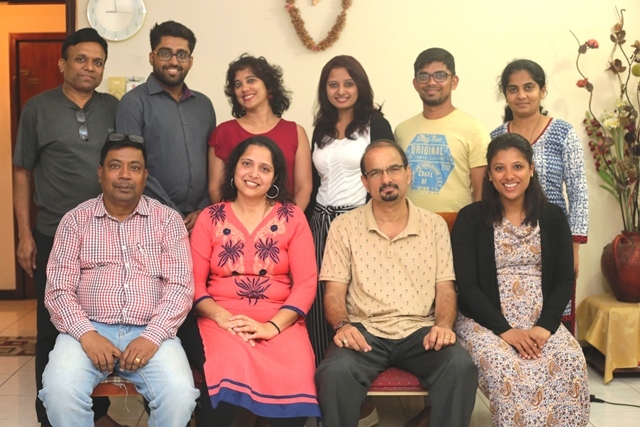 Muloor, Alwyn Pinto, Afroz Assadi, Noel Almeida, Jyothika Shetty, Smitha Bhat, Suvarna Satish & Shashi Shetty the Core Committee Members. 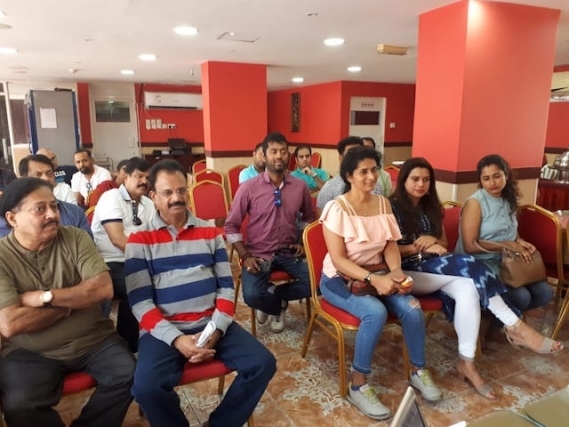 Various sub-committees were formed during the recent meeting in order to carry on the activities in a smoother way into professional presentation. The total event will be conducted with the license of Rythm Events Dubai under the management of Sandhya Creations. Al Nasr Leisureland Ice Rink & Nashwan Hall will be the venue for this two day event wherein more than 4,000 audience including participants are expected from all over the world. This is expected to be a historical event. 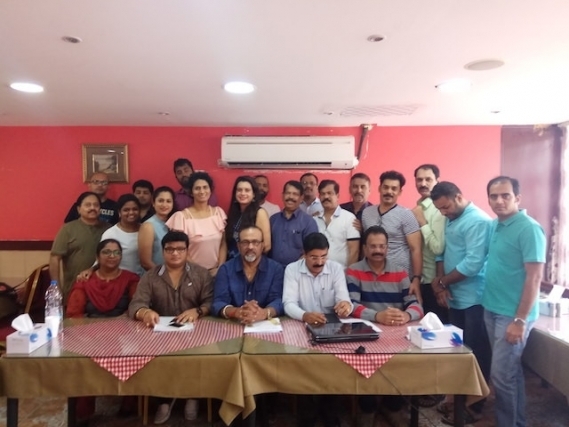 While the preparation is going on in full swing, The Cultural Committee Team headed by Vishwanath Shetty & Convention Committee head Prakash Rao Payyar met today at Quick Bite Restaurant to discuss on the programme presentation. 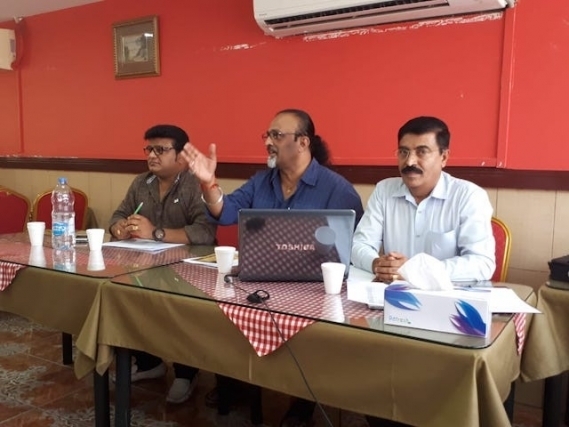 Ajmal S.M., Alwyn Pinto, Dev Kumar Kambli, Ganesh Rai, Shashi Shetty & Shodhan Prasad from the Core Team were also present. 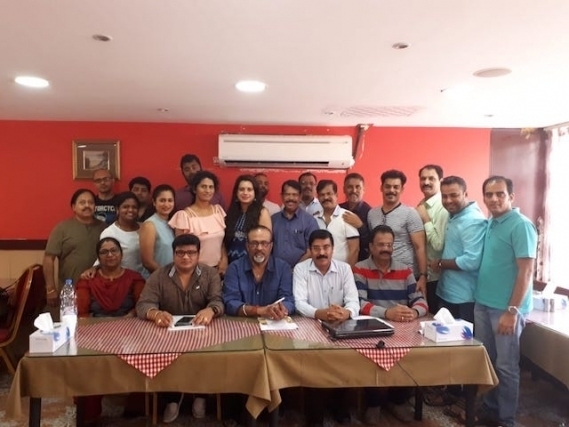 Other members include Vaishnavi Shetty, Raviraj Shetty, Sangeetha Shetty, Jayanth Shetty, Ashok Anchan, Girish Narain, Krishna Prasad, Nithyanand Beskoor, Vasu Bayer, Dinesh Shetty Kottinja, Kiran Shetty, Devesh Alva, Jasmitha Vivek & Usha Shetty were present. The meeting started with shanti prayer while Shodhan welcomed and briefed on the programme developments. Vishwanath took over and explained how tedious was the job in distributing the time slot for each of the items. He said that the Event is flooded with programmes voluntarily offered by Tuluvas from all round the world including the host country UAE. It was difficult for the Committee to allot time schedules as requested and ultimately had to cut down the programmes to sizes in order to fix it up with the available time slots. Unfortunately the Group Folk Singing competition had to be cancelled due to time constraints. Later Ganesh Rai briefed on the printing designs of invitation and souvenir details and said that these will be of unique content especially for the Sammelana. 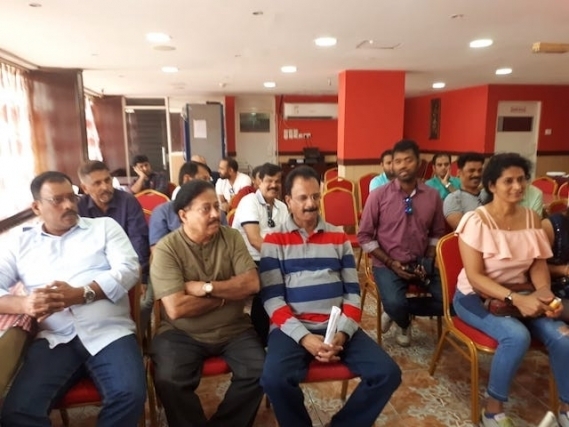 In the meeting held today the Committee finalized to have ‘Group Folk Dance Competition (Gumpu Janapada Nalike da Pantha) exclusively for Tuluvas from all over the Gulf Countries and then Tulu Nada Parbholu Natya Roopaka, Yaksha Natya Ghana Vaibhava, Tala Maddale, Phili Nalike, Daivaradhane & Bootharadhane Ghosti, Hasya, Chutuku, Kavana Ghostilu, Tulu Rangha Bhoomi, Tulu Chalana Chitra Ghostilu, Anivasi, Horanada Tuluvere Ghostilu, Tulu Rasamanjari, Tulu Ayona, Siri Tulu Nalike, Yelver Daivolu Tulu Nritya Roopaka and Telipale Stand-up comedy by various teams including Prashamsa Kaup & Umesh Mijar Team. Host of MC’s Naveen Shetty Yedmar, Saiheel Rai, Kadri Navneeth Shetty, Bhasker Rai Kukkuvalli, Dayanand Kathalsar and more are expected to master the stage. Tulunada specialties to include some of the sumptuous lip licking traditional food delicacies which may create eating cravenness amongst the visitors. Tulunada Exhibition will specially exhibit some of the rare vintage artifacts in a different style. 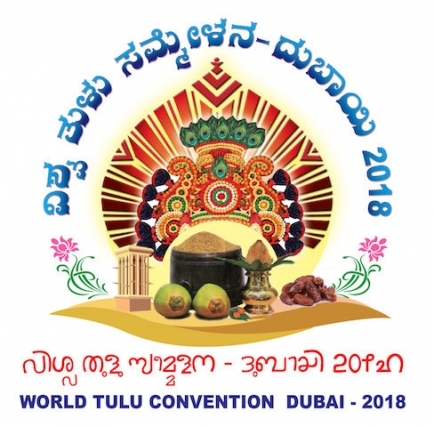 Hosting Tuluvas in Dubai now await to receive guests from all over the world to this first of its kind event ‘Vishwa Tulu Sammelana 2018 Dubai’.